Patricia Mary Giorgio of Mt Vernon passed away on December 3, 2018. Patricia was born in Mt Vernon to Joseph and Angelina Giorgio (nee D'Apice) on February 13, 1937. Patricia was a brilliant person who graduated from NYU on a full scholarship. For many years she worked as a clinical laboratory technician at the VA Hospital in New York City. 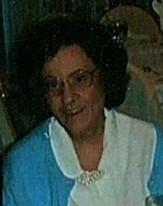 Patricia loved doing cross word puzzles and helping her nieces and nephews write school papers. Patricia is survived by her sisters Maryann Rossi, Dolores (Robert) Solano, Angelina (James) Brooks of Victoria Australia and many nieces, nephews, great nieces and nephews. She is predeceased by her brothers Joseph, Anthony and her brother in law Joseph and sister in law Pauline. A celebration of Patricia's life will be held at the funeral home on Thursday from 9 to 10:45am. Mass of Christian Burial will be held on Thursday at Sts. Peter and Paul Church at 10:45am.